Arriving at the Electric Ballroom just in time for Girlpool's set, we were thrust into an immediate intimacy, as if watching a couple of close friends on stage, opening up about their woes. Their lyrics - filled with angst, tribulations and modern day musings - immediately connected the audience and held their undivided attention. Their melancholic wailing was dominant throughout, at times stripping it back to become more calm and reflective. Tracks such as "Jane" were delivered as grown-up schoolyard chants as the pair chimed together, resonating similar sounds to 90's female punk singers – forceful screeching delivered with innocent, youthful tones. 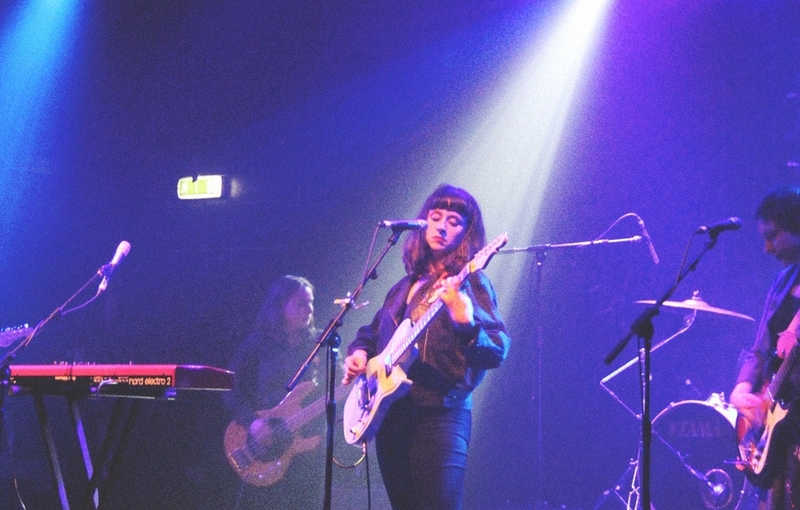 When Waxahatchee frontwoman Katie Crutchfield took to the stage, she was humbled by the large crowd. The young singer/songwriter has released three albums, Ivy Tripp being the most recent in April this year, has supported Tegan and Sara, and is now headlining a North American and European tour. The name Waxahatchee came from a creek in Alabama, a fitting description of her music which is free-flowing and meandering in much the same way. She kicked things off with "Under A Rock" - in with her signature mellow tones she sang lyrics laced with emotion and yearning. Songs from her most recent album featured heavily in the set, as well as some oldies such as "Brother Bryan" and the wonderful "Swan Dive". Feelings of nostalgia resonated throughout, due partly to the fact that I was in my old stomping ground in Camden, but also that the style of music switched between 90's indie pop and punk music from the noughties. The way that Crutchfield has drawn influence from these eras, having grown up listening to significant artists from these times, is further proof that she is an important musical voice of our generation.